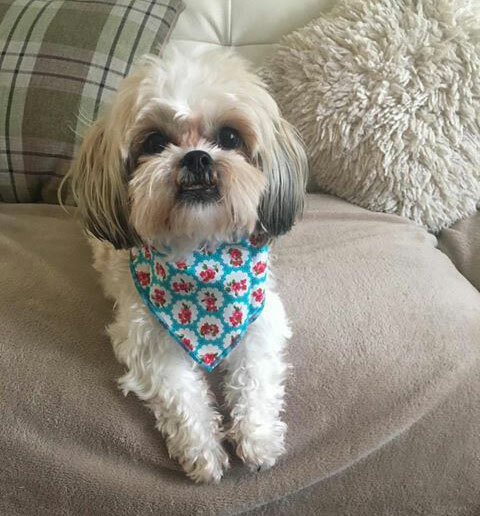 It seems Millie has got herself a part-time job modelling our new dog bandana designs. Here she is in a fairly recent new design, Provence Rose in Teal. Looking lovely Millie! Provence Rose Teal is one of our Cath Kidston inspired dog bandana designs. Provence Rose is also available in Red, Pale Pink and Pale Blue and can be found in our Floral Dog Bandana Department or in our dedicated Kidston Style section. 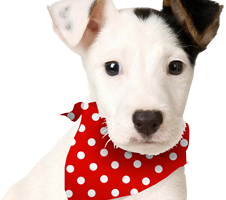 Once again, we’ve added Millie to our Puppy Bandana Photo Gallery, Facebook, Twitter and Instagram. Thanks for sharing Millie.